Or you get an email promotion from your favorite home store offering top deals on all sorts of glassware after you browsed their site for goblets the day before. Even more jolting, after perusing a home improvement site, you get notifications for contractors that live just miles from your house. The powerful ways in which large sets of data are collected and used for consumer and business use can be both jarring and ingenious. Data collection in retail consists of several details that drive personalization before, during, and after a shopping experience. What you’ve purchased before that’s similar to what others have purchased (and how that predicts what you might like in the future). How much money you typically spend, at what time of day, and on which days of the week or time of year (and what sales might be running at a brick-and-mortar store that’s just blocks from your home or office). Music sites like Spotify and iTunes learn more about your likes and dislikes and can recommend new titles based on genres or artists you tend to favor, what you’ve already downloaded, and how many times you’ve listened to certain songs. Data matters in health care, too. Details help wellness professionals provide meaningful and accessible programs to populations that struggle with health literacy and social determinants, both of which drastically impact their health outcomes. The challenges and barriers that social determinants present run deep and wide. And business models like Amazon’s present solutions. Amazon learns an individual’s buyer profile to deliver what they want, when and where they want it. In the same way, health and wellness managers must use intimate details to better understand their populations’ broader profile to deliver often life-saving wellness programs. What resources can the rest of us leverage that are already in our wellness toolbox to support educating ourselves on these deep specifics of our health population and the challenges facing them? Starting with data is the best approach – from claims data to health risk assessments and socioeconomic details. Understanding and meeting your population where they’re at is crucial to success. And if we want to get to the critical information at the level required, we have to begin by asking the right questions in the right way. Choosing the right HRA can mean the difference between failing versus saving the lives of those with the largest deck stacked against them. “Selecting a health risk assessment tool that is specifically designed to collect predictive data is just common sense. 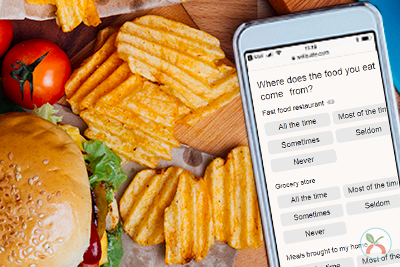 It provides missing context critical to health and well-being decision-making,” says James Bennett, Customer Support manager at Wellsource. To understand the right questions and get that context, you have to know what social determinants to look for. According to the World Health Organization (WHO), “social determinants of health are the conditions in which people are born, grow, live, work, and age.” It’s now widely understood that social and economic factors play an obvious role in a person’s opportunity and ability to participate in healthy behaviors and overall lifestyle. Where a person lives impacts access to outdoor amenities most of us take for granted, like parks, playgrounds, or even sidewalks. There are safety threats, discrimination, limitations on transportation, expansive food deserts, and the inability to afford healthy foods even if they can reach a grocery store. Within each domain are several key issues impacting each SDOH. Look at the details for your populations. How many of these determinants apply to them? Combining SDOH data with current and potential health problems can help you provide practical, personalized programs that will positively influence key issues applicable to their health populations. If you’re uncertain about the SDOH risks for your populations, check out the Data Set Directory of Social Determinants of Health at the Local Level, prepared by the U.S. Department of Health and Human Services. Feeling overwhelmed? That’s okay. At a minimum, understanding the baseline needs of your populations gives you an authentic lens to take more decisive action. For example, as you learn more about your population’s education levels, you can do something as simple as adjusting the content in your informative materials and programs. Our Health Literacy Guide provides standard guidelines for creating advice, guidance, and instructions when communicating with vulnerable populations. 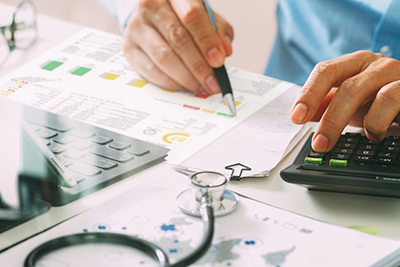 The effort to break down and simplify medical details can remove the intimidation factor and provide a clearer understanding of easy and less costly actions and activities an individual can undertake. Beyond the clarification of language, knowing the specific determinants now opens up the lines of communication between you, individuals in your populations, and community organizations. Healthy People 2020 provides resources aligned to SDOH domains for wellness professionals and community organizers to collaboratively provide practical interventions. Often times the best solution is the simplest. Want to learn more about Health Literacy? Read more on how to simplify population communication.